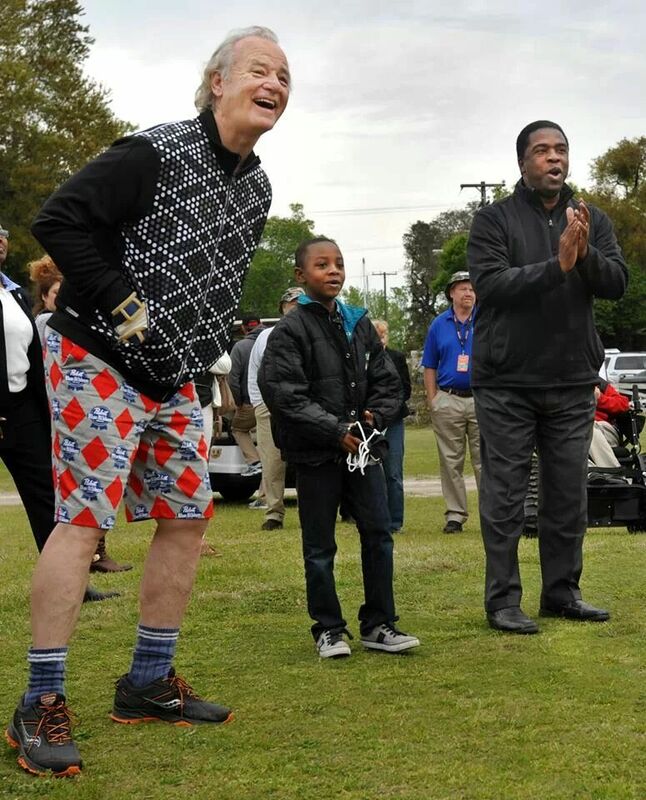 Bill Murray just showed up at a golf tournament with the greatest pants in history, winning the tournament before taking a single swing. When asked to comment on them, he remarked: "I've always been partial to Pabst Blue Ribbon. I like that beer, I think it's good. Goes well with bratwurst... And you can wear [these pants] anywhere. I think Pabst Blue Ribbon crosses all socio-economic lines." Supplied by Loudmouth Golf, the same geniuses that supplied Norway with their incredible curling pants, the PBR pants seem to be available as a corporate promotion, but we're hoping Loudmouth wises up and offers them to the public. Because frankly, we demand them. Oh, and Bill also has the shorts. Because he values fashion in all weather conditions. Ethan Wolff-Mann is the Gear editor of Supercompressor. John Daly is his favorite golfer.